This was one of the sweetest moments between Jess and her Bridemaids. She wanted her Mother to help her get dressed and do a big reveal to her bridesmaids once she was in her dress. I love the reaction when girls see their best friend ready to marry the man of her dreams. 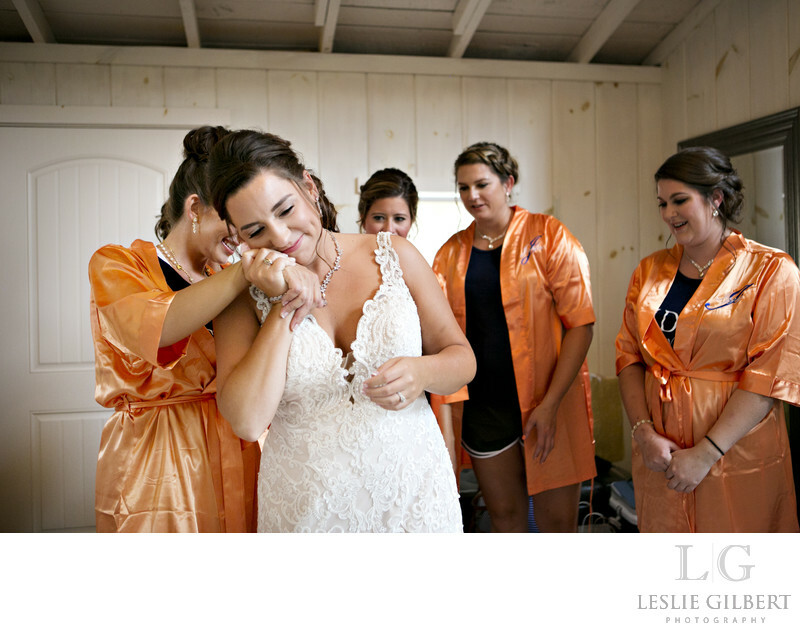 What is great is that Stoltzfus Homestead had a gorgeous, well lit bridal suite for the girls to get ready. Location: 3716 E Newport Rd, Gordonville, Pa, 17529. Keywords: Lancaster Photographer (6), Leslie Gilbert photography (18), Stoltsfus Homestead weddings (3), Stoltzfus Homestead (3), Stoltzfus Homestead bridal suite (3).